Evolution is often described as a theory. While technically true, it is misleading to dismiss evolution as just a theory (an unfounded idea), as opponents of evolution often do. 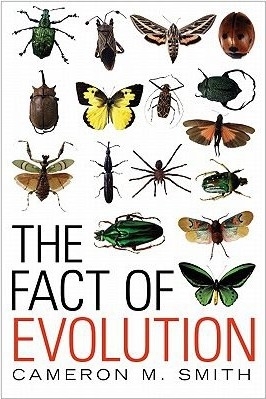 In this illuminating work, anthropologist Cameron Smith amply demonstrates that there are few more well-established facts in the scientific canon than that life evolved on earth. Walking the reader through the steps in the evolutionary process, Cameron uses plenty of real-world examples to show that not only does evolution happen, but that it must happen. The Fact of Evolution also covers new discoveries in evolution, many of which have occurred in the last twenty years as a result of the genomic revolution, and of which have strengthened Darwins original notion.